and a 171 page book notated in PDF format. method taking you all the way from beginner to pro. Jazz, Latin, Funk, Fusion and Progressive Rock. You can study this course with a teacher or on your own as the book guides you through the course step by step, making learning easy. acoustic guitar and the recordings on the CD feature both. Designed to be musical, fun, educational and above all achievable. 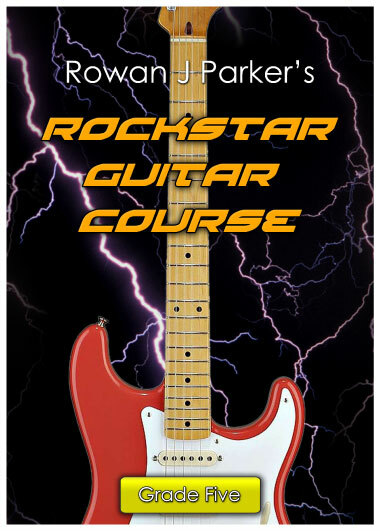 This course sets a new benchmark for guitar tuition.